Some suggestions for extracting audio only podcast-friendly feeds for one of my favorite shows. 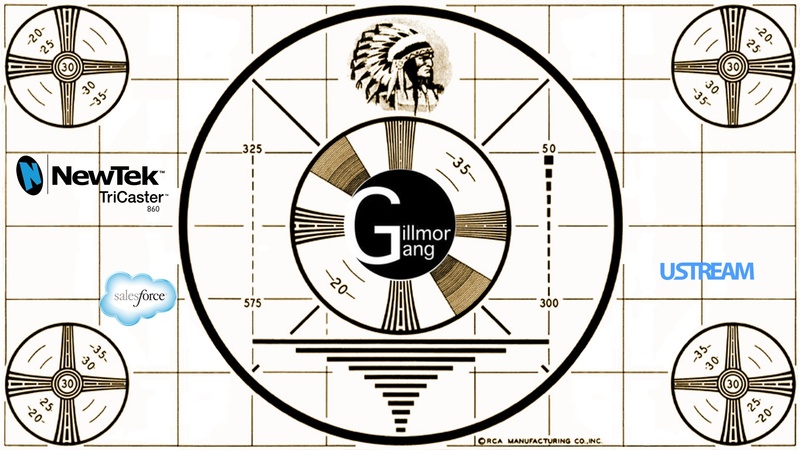 I’ll start off with the fact that I’m a big fan of The Gillmore Gang and recommend it to anyone who is interested in the very bleeding edge of the overlap of technology and media. I’ve been listening almost since the beginning, and feel that digging back into their archives is a fantastic learning experience even for the well-informed. Most older episodes stand up well to the test of time. 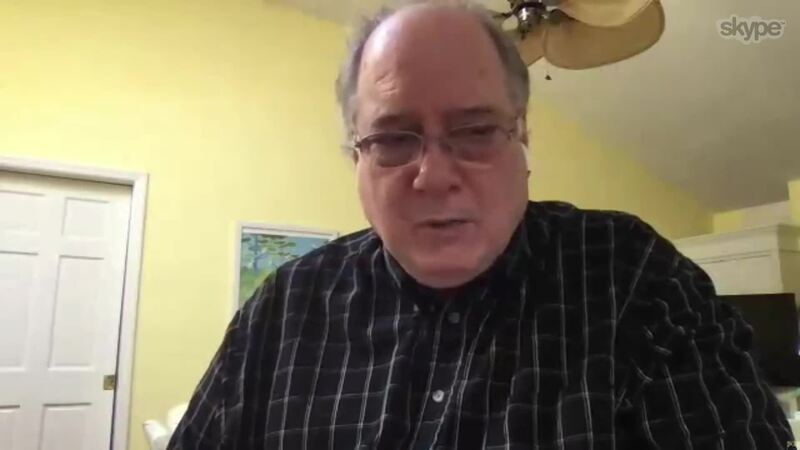 In the Doc Soup episode of The Gillmor Gang on 5/13/17–right at the very end–Steve Gillmor reiterated, “This isn’t a podcast. This was a podcast. It will always be a podcast, but streaming is where it’s at, and that’s what we’re doing right now.” As such, apparently Tech Crunch (or Steve for that matter) doesn’t think it’s worthwhile to have any sort of subscribe-able feed for those who prefer to listen to a time shifted version of the show. (Ironically in nearly every other episode they talk about the brilliance of the Apple TV, which is–guess what?–a highly dedicated time shifting viewing/listening device.) I suppose that their use of an old, but modified TV test pattern hiding in the og:image metadata on their webpages is all-too-apropos. It’s been several years (around the time of the Leo Incident?) since The Gillmor Gang has reliably published an audio version, a fact I find painful and frustrating as I’m sure many others do as well. At least once or twice a year, I spend an hour or so searching around to find one, generally to no avail. While watching it live and participating in the live chat may be nice, I typically can’t manage the time slot, so I’m stuck trying to find time to watch the video versions on Tech Crunch. Sadly, looking at four or more old, wrinkly, white men (Steve himself has cautioned, “cover your eyes, it’ll be okay…” without admitting it could certainly use some diversity) for an hour or more isn’t my bailiwick. Having video as the primary modality for this show is rarely useful. To me, it’s the ideas within the discussion which are worthwhile, so I only need a much lower bandwidth .mp3 audio file to be able to listen. And so sadly, the one thing this over-technologized show (thanks again TriCaster!) actually needs from a production perspective is a simple .mp3 (RSS, Atom, JSON feed, or h-feed) podcast feed! In recent batches of searching, I have come across a few useful resources for those who want simple, sweet audio out of the show, so I’m going to document them here. To create a feed quickly, one can create a free Huffduffer account. (This is one of my favorite tools in the world by the way.) They’ve got a useful bookmarklet tool that allows you to visit pages and save audio files and metadata about them to your account. Further, they provide multiple immediate means of subscribing to your saves as feeds! Thus you can pick and choose which Gillmor Gang episodes (or any other audio files on the web for that matter) you’d like to put into your feed. Then subscribe in your favorite podcatcher and go. My last potential suggestion might be useful to some, but is (currently) so time-delayed it’s likely not as useful. For a while, I’ve been making “Listen” posts to my website of things I listen to around the web. I’ve discovered that the way I do it, which involves transcluding the original audio files so the original host sees and gets the traffic, provides a subscribe-able faux-cast of content. You can use this RSS feed to capture the episodes I’ve been listening to lately. Note that I’m way behind right now and don’t always listen to episodes in chronological order, so it’s not as reliable a method for the more avid fan. Of course now that I’ve got some reasonable solutions… I’ll likely catch up quickly and we’re off to the races again. Naturally none of this chicanery would be necessary if the group of producers and editors of the show would take five minutes to create and host their own version. Apparently they have the freedom and flexibility to not have to worry about clicks and advertising (which I completely appreciate, by the way) to need to capture the other half of the audience they’re surely missing by not offering an easy-to-find audio feed. But I’m dead certain they’ve got the time, ability, and resources to easily do this, which makes it painful to see that they don’t. Perhaps one day they will, but I wouldn’t bet the house on it. I’ve made requests and been holding my breath for years, but the best I’ve done so far is to turn blue and fall off my chair. Recorded live Saturday, May 13, 2017. The Gang takes nothing off the table as Doc describes a near future of personal APIs and CustomerTech. Keith outlines an excellent thesis about media moving from “one to many” to increasingly becoming “one to one”. It points out the issue for areas like journalism, which can become so individualized, and democracy which often rely on being able to see the messages that are given out to the masses being consistent. One of the issues with Facebook and the Cambridge Analytica problem is that many people were getting algrorithmic customized messages (true or not) that had the ability to nudge them in certain directions. This creates a lot more control on the part of major corporations which would have been far less likely when broadcasting the exact same message to millions. In the latter case, the message for the masses can be discussed, analyzed, picked apart, and dealt with because it is known. In the former case, no one knows what the message was except for the person who received it and it’s far less likely that they analyzed and discussed it in the same way that it would have been previously. In the last portion of the show, Doc leads with some discussion about identity and privacy from the buyer’s perspective. Companies selling widgets don’t necessarily need to collect massive amounts of data about us to sell widgets. It’s the seller’s perspective and the over-reliance on advertising which has created the capitalism surveillance state we’re sadly living within now. Recorded live Friday, May 5, 2017. Fixed issue with show meta data indicating another show. Big Media meets the Big Algorithm as we reach subscription saturation. B=V/T: Self-service Bundling based on Value prioritized by Trust erases the distinction between short and long form. Doc checks AdTech’s pulse, Google poisons search with Fake News, and Social stews over trust. Twitter ponders subscription services, Medium gets $5 from Steve and maybe Doc, Keith and Kevin offer their 2 cents from across the pond, and Mike holds down the fort from Crunchfund HQ. This was the last recording of the Gillmor Gang in 2016, and the final minutes included a sharp exchange between Robert Scoble and myself. Subsequently Robert decided to stop appearing on the show. I wish him well and thank him for his participation over the years. Last appearance of Robert Scoble?? The Gillmor Gang — Robert Scoble, Keith Teare, Frank Radice, Kevin Marks, and Steve Gillmor. Recorded live Friday, August 26, 2016. Oh no, Volumetrics meets the Beatles in a trip forward down memory lane. Eventually we even discover the chewy center. Note from 12/20/16: Like others commented on the show, the concept of the Unborn Child and the Living Dead in analogizing new technologies (at least from the perspective of venture capital) is a very interesting and useful one. Recorded live Friday, September 2, 2016. Waiting for latency can be a lonely thing, but the media march toward live streaming reaches new urgency.